Washrooms are one of the most important parts of every construction project. They are no longer those secluded parts in the corner of the house, but instead are used as areas of leisure and relaxation. And it is quite obvious that bathrooms are the most prone to moisture related mishaps so special attention must be paid to waterproofing it appropriately. Here are some things to keep in mind as you supervise the waterproofing of your bathroom. Use antiskid tiles on the floor. It is always a good idea to use wide grout lines between the tiles and seal the grout lines annually, so that water doesn’t seep through them. Another important aspect of bathroom flooring is the uninterrupted slope towards the drain so that water doesn’t accumulate in pockets. 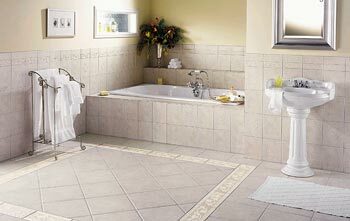 The wall behind the shower panel, the part under the sink and the area behind the water closet, are most prone to mold and mildew, it is therefore a good idea to use tiles on the washroom walls as well. Use the Dr. Fixit Bathseal kit to protect your walls, floor, and sanitation areas. Ensure that your washroom ceiling is coated with waterproof paint so that it doesn’t absorb moisture. 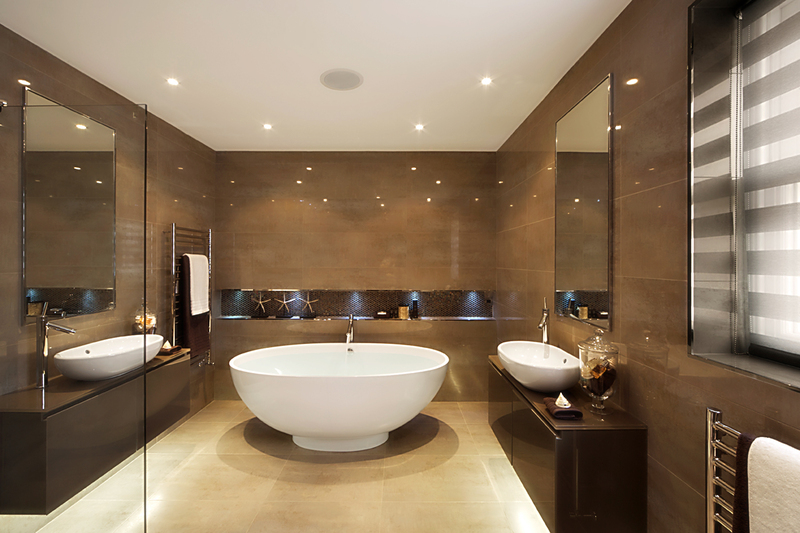 Always ensure that there is enough ventilation and an exhaust fan in the bathroom so that moisture doesn’t stay. Also ensure that the joints in the plumbing and faucets are sealed properly; and, we repeat, the slopes on the floor direct the water straight to the drain. In fact, they Waterproofing is an extremely essential part of every construction project as the lack of it, or inadequacy of the same, can cause moulds to fester, seepage, and ultimately weaken the walls. Different types of waterproofing materials are used in the building industry. In order to obtain satisfactory performance, it is essential to apply the water-proofing treatment prior to laying the tiles and special care has to be taken to carefully preparing the building sub-surface so that it can receive the treatment as recommended. It is essential to ensure the water-tightness of the structures so that the flow of water from inside the structure to outside (in case of swimming pools), and the infiltration of water from the surrounding soil into the structure are effectively prevented. Have a look at our growing database of waterproofing products and have a look at some amazing bathroom images on our pinterest page to inspire you to start designing your dream bathroom today.